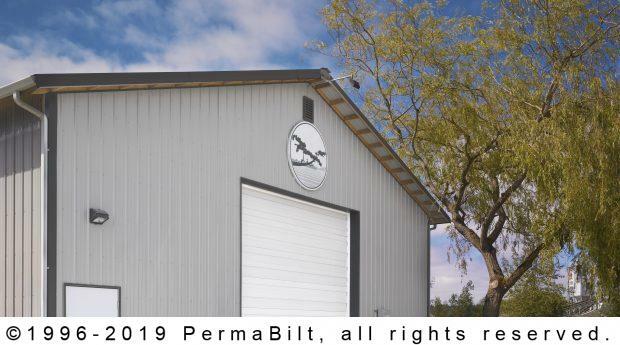 A landscape contractor in Anacortes Washington wanted a large 8 door metal outdoor storage building that would allow each of his crews to have their own area to store their tools and supplies on a daily basis. The contractor knew that this would increase his crew’s efficiency dramatically. 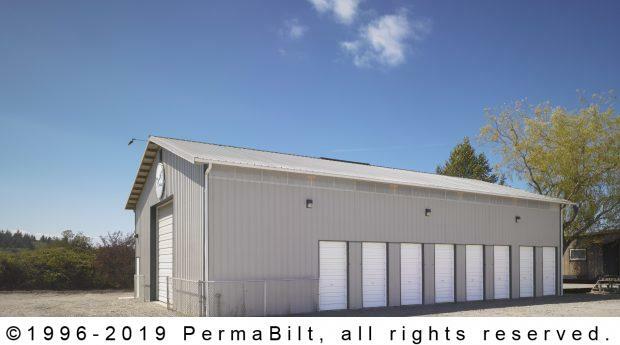 After meetings with our Building Representative, plans were drawn up for a 40’ x 60’ x16’ shop that included 14 commercial steel roll-up doors. The unique design called for (2) 14’ x 14’ CSRU (one at each end), (2) 10’ x 10’ (at one side) and (8) 4’ x 8’ at the remaining side. The 4’ x 8’ CSRU were centered in the bays with 1’ between door. These 8 doors each had an exterior key lock so the crews could access that area of the shop as needed. The customer installed separation walls once our work was completed. Once the details were finalized and the contract written, the design went to the engineer for the plans. Once we received the plans we submitted for the building permit from the City of Anacortes. 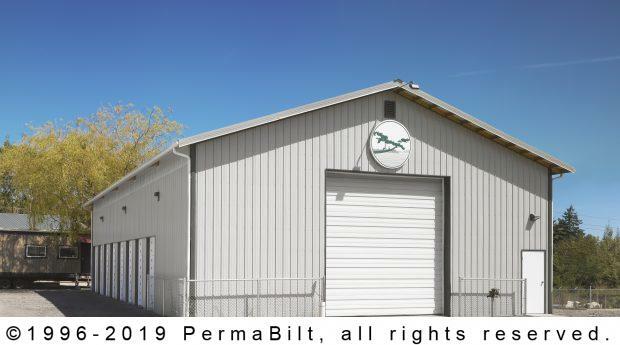 After numerous reviews by the City, and some work from our permit department, we received the building permit and scheduled the job for construction. As the photographs show, the outdoor storage building is not only functional, but a great addition to the property. And the landscape business continues to grow.